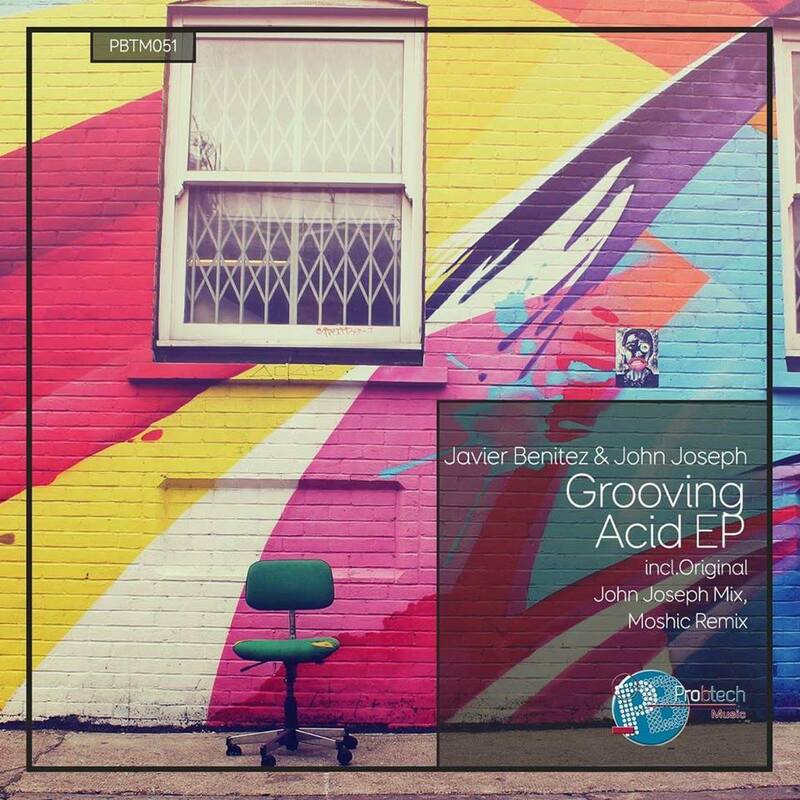 The latest release on Pro-B-Tech Records welcomes Javier Benitez & John Joseph to the label for their debut single. The Argentinean duo have worked together before with a contribution (Beautiful Sunset) to Stripped Digital’s ‘From Argentina With Love’ EP released just last month. Now returning for their first ever collaborative single the duo present the much anticipated ‘Grooving Acid’ alongside remixes from Moshic and John himself. The duo’s first ever colab the aforementioned ‘Beautiful Sunset’ was a foray into deep grooves and charming motifs. A definite highlight of the Stripped release and they continue that great momentum here with ‘Grooving Acid’. Aptly titled the track is anchored by a groovy foundation and the primary storyboard is a modulating acid line which is quite tastefully done. If you’re thinking big growling 303s that’s not we have here, more of a nasally, quirky line which does just enough to tantalise the senses and bring some extra emotion out the main break, which might be the track’s strongest suit. Beautifully crafted, it flows through a cinematic like drift as those effervescent lines hit exactly the notes. Great stuff from Javier and John. Both remixes deliver a great complement to the original with the first being from Moshic who takes the track into melodic techno territory with great results. The acid line gets toned down quite a bit and the mix focuses on several ethereal elements which make for a powerful and emotive journey. The vocals in particular are gorgeous, ranging from soulful wails to celestial overlays during the main break. That signature Moshic rhythm just never seems to get old either, it’s not quite as distinctive as it was 10-15 years ago but it’s still locked in the groove to an extent and the bounce and drive is just as infectious. Wonderful remix from a true progressive house legend. The release concludes with John Joseph going solo and taking the track into tougher techno minded territory. The boundless rhythmic structure of the original is maintained but it’s an altogether dubbier version with the acid lines taking a backseat for percussive clusters and uplifting pads. It’s drive and ferocity are it’s strongest suits and peak time play certainly couldn’t be ruled out, I see it as a morning beauty though, something Sasha would have played at 6AM maybe 15 years ago. Great remix from John and a top notch offering from Pro-B-Tech Records once again.